That means “no more” in Spanish. And it’s what residents of Rochester’s La Avenida, or North Clinton Avenue, neighborhood are saying as they fight to reclaim their community. 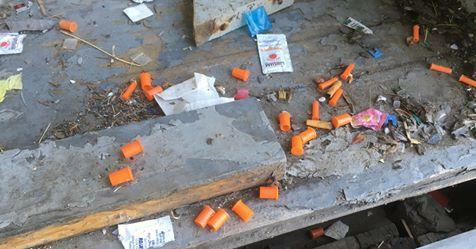 The area has become ground zero for the opioid epidemic regionally, and local officials say users often flock to the busy street to buy drugs and sometimes use vacant homes to shoot up. 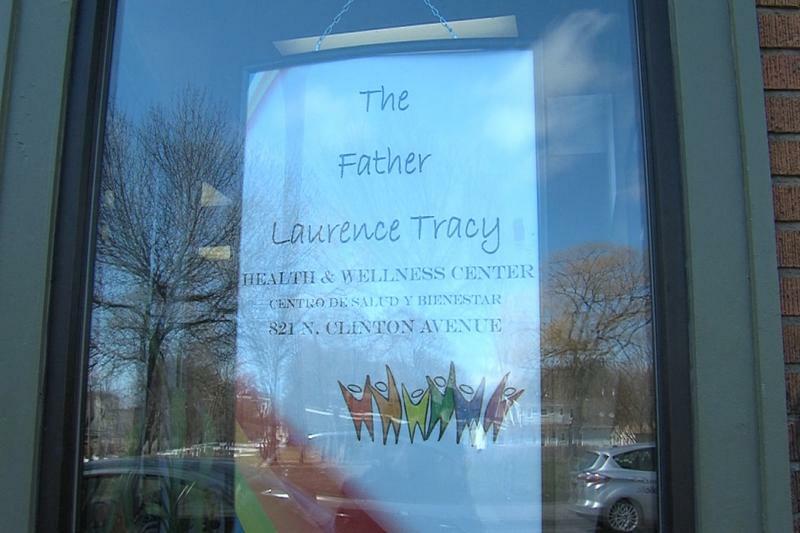 Rudy Rivera is one of many saying, “No más.” He helped open the Father Laurence Tracy Health and Wellness Center late last year with the goal of connecting users to treatment, helping residents with basic needs such as clothing and hygiene, and instilling Latino pride. “This is a program created by Latinos, for Latinos, serviced and provided by Latinos in the context of the Latino experience. This is a true example of self-help,” Rivera said. He recently retired from Action for a Better Community, one of the agencies behind the opening and maintenance of the center. Users seeking treatment or therapy can go to the center and be connected with local programs. There is also free clothing and food for those who need them — no questions asked. The center is named after Father Laurence Tracy, a pastor at St. Michael’s Church and longtime community activist. Rivera said Tracy was hesitant to have the center named after him. The priest finally agreed but with a few conditions — he wanted staff to play Latin music and requested that hot coffee always be available. Rivera and Tracy said the focus should be on the people, so the atmosphere of the center is designed to make visitors feel at home instantly. The center isn’t the only resource in the community. There’s also Project HOPE and CLEAN, which helps pick up needles and other paraphernalia for a cleaner neighborhood. ROCovery Fitness does outreach there, and individual residents clean up and push for legislation that will revive the area. “We all know that we’re never going to arrest our way out of this problem,” said Rochester Police Capt. John Corbelli. He is head of the Clinton Section, which includes the northeast part of the city from East Main Street and Goodman Avenue to St. Paul Street and Route 104. Corbelli said not all users are from the area — in fact, most aren’t. He said a recent report by local law enforcement found that some users came from quite a distance. “They looked at the registration of the vehicles and where those vehicles were registered to, and they found out that people were coming not just from Rochester, Monroe County and the surrounding counties, but people were coming from the Southern Tier, and that just exemplifies that there is a wide swath of our society using drugs,” he said. 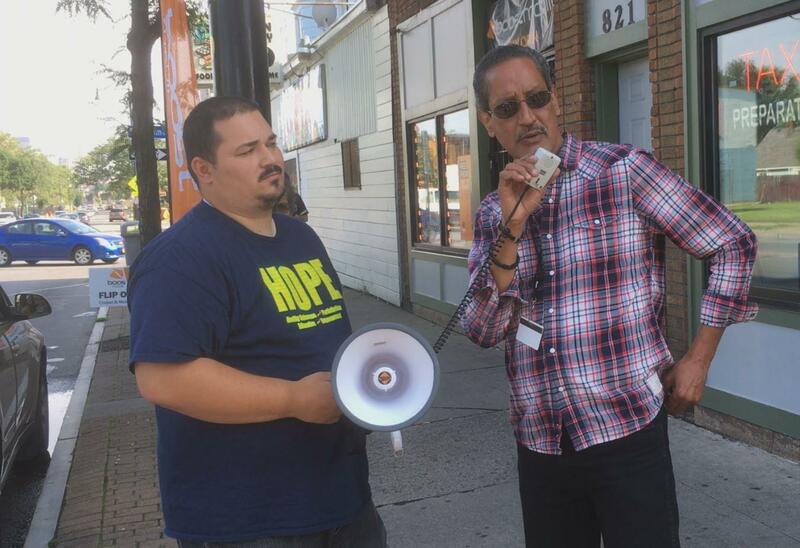 Rivera said that makes their cleanup job more difficult: “Many of those who migrate to Clinton Avenue who are helping to tear down the fabric of Clinton Avenue unfortunately are coming from the suburbs … and thus they tear down the fabric of the community because we're nothing more than a place for them to acquire and secure their needs." Rivera said so far, they’ve been able to get a handful of people into treatment. He said they rely on patience and “non-pushy” techniques, offering a listening ear or a meal to anyone who comes in. If it’s clear that someone wants to go to rehab or get other drug treatment, Rivera said they jump into action, calling local programs to see who has an open bed. “You can’t force someone into rehab,” said Jose Diaz, a volunteer at the center who is a former user. He said he used heroin in the 1990s and was himself resistant to rehab. But Diaz ultimately would go to rehab, taking a few months to get clean. He’d use this experience more than 20 years later when he saw a friend he suspected was on drugs. “I knew he was on something, so I bought him some food,” he said. But when it was clear his friend was still hungry, he lured him to the center with the promise of a sandwich. That free sandwich paved the way for the friend later taking a bed in a local drug treatment program. Corbelli said he prefers this kind of help to arresting people. He said the police department is backing several community initiatives, including the center, and speaking with residents and neighborhood groups to collaborate more.